Phonographic Copyright (p) – Diesel Only Records, Inc. Copyright (c) – Diesel Only Records, Inc.
All selections also available on vinyl singles from Diesel Only Records, Brooklyn, NY. Except track 16 previously unreleased. Tracks 1, 5, 6, 10, 11, 13 to 15 recorded at Coyote Studios, Brooklyn, NY. Tracks 2, 3 recorded at East Side Sound, New York, NY. Track 4 recorded at Water Music, Hoboken, N.J.
Track 7 recorded at Waterfront Studios, Hoboken, NJ. Track 8 recorded at New Breed Studios, New York City. Track 9 recorded at The Board Room, Nashville, TN. Track 12 recorded at This Way Productions, New York City. Track 13 recorded at Mark Dann Studio, New York City. 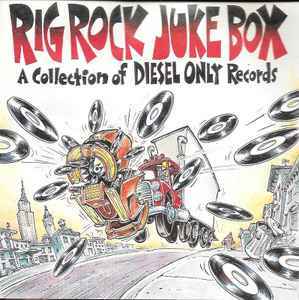 ℗ & © 1992 Diesel Only Records, Inc.